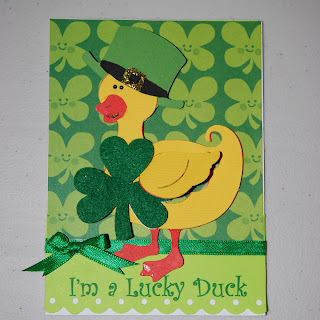 CardMonkey's Paper Jungle: I'm A Lucky Duck! 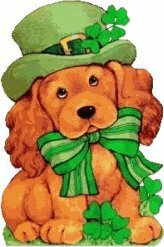 Well, I just learned this St. Paddy's Day Blog Hop is really only just one day ... and I'd prepared two postings. So this is my second posting of the day (Friday, Mar 18) ... scroll down to see the first card, if you'd like. If you comment again on this post, it will double your chances for the GREEN BLOG CANDY!! I used my favorite Cricut search engine, www.CricutSearch.com, to find this cute duck on a Cricut cartridge. I stole a hat from the Paper Doll Dress-Up cartridges, and used a flocked shamrock sticker for the duck's embellishment. Ahhhhh, now for your Blarney Blog Candy: I've got a unique collection of St. Pat's embellishments for you, wrapped up in a green glittered "Chinese food container". (What did you expect? A container to hold some corned beef and cabbage?) I've decorated the container as well, to make it a cute and fun gift. Inside, you'll be seeing green ... green glitter glue, green stamp pad, and more green too!! 3. You may comment twice today, once for each card posted, maximum of two entries. Respondents will be combined, and only one prize will be sent to the winner, drawn at random by Random.Org. ♣ Be sure to visit the earlier Card O'Monkey's card if you haven't already! ♣ If you post a comment there too, you can have 2 chances to win, win, win! For now, hop on over to the little lassie, ♣ Faith ♣, for your next stop on this hop. 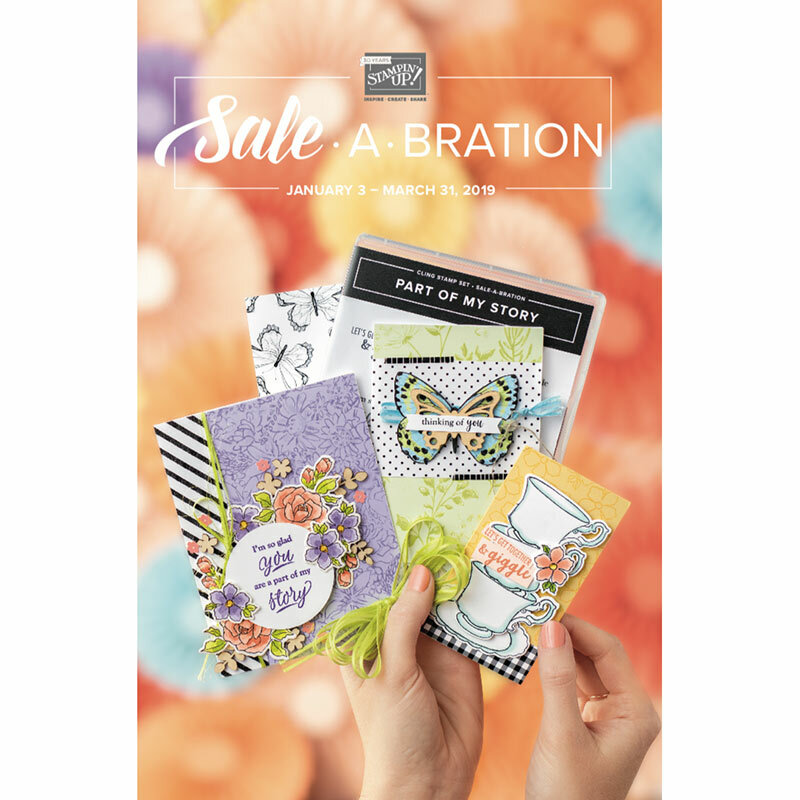 Thanks for joining us here for this blog hop! 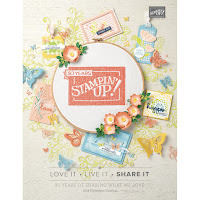 STOP BACK TOMORROW when I'm posting the Tutorial on how to make a Never-Ending Card, like that shown last week during Jennifer Restivo's "It's My Birthday Blog Hop." Super cute duck! Perfect sentiment!